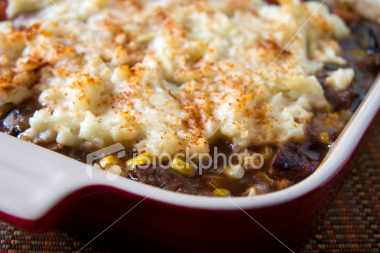 One of the things I missed about eating meat was shepherd’s pie; my parents had discovered a rather tasty brand but, of course, that had meat. And who’s heard of a meatless shepherd’s pie, or chicken pot pie? Now you and I both have. Thank you to my dad for making this recipe so that I could enjoy an old delight! Boil a huge pot of water. When water is boiling, add three small washed potatoes. Keep an eye on the potatoes, they should take around 45 minutes to cook. Once potatoes are ready, scoop them out with a spoon and let them cool. Pour some of the water from the potatoes into a smaller pot, set to boil and add frozen vegetables. Remove once cooked and toss water. Mix Yves veggie ground with water and a spritz of olive oil in a pan. Heat until lightly cooked. Peel the potatoes and place in the now empty smaller pot (where you cooked the vegetables). Mash potatoes and add salt and milk until you achieve a smooth, mushy texture. Now we’re onto the pie part! Heat the toaster oven to 375° convection. Cover bottom of small casserole dish with Yves veggie ground mixed with the now cooked vegetables. Smooth mashed potatoes over top and sprinkle top layer with cheddar cheese. Cook pie in toaster oven for around 10 minutes (the cheese may be your readiness indicator). Enjoy!